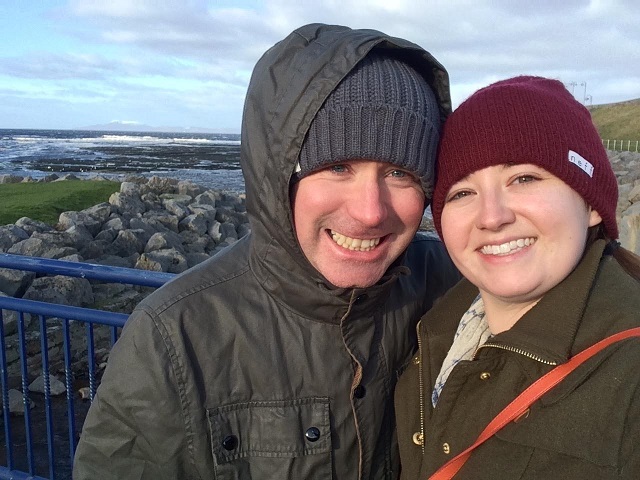 We are Dermot O’Leary and Hanna Bush, two postgraduate students studying for our Master of Library and Information Studies at University College Dublin. In January, we were lucky enough – with the generous support of the Academic and Special Libraries Section – to attend the third annual Drew University Transatlantic Connections Conference in Bundoran with our lecturer, Jane Burns. As the first academic conference either of us had attended, this experience was particularly formative. The Transatlantic Connections Conference covered a host of diverse topics ranging from medical humanities to literature and music, from multimedia technology to surf culture. All presentations related in some way to the conference’s overarching theme, “Building Bridges: Connecting a new Ireland and the Irish diaspora in the United States, past, present, and future.” The presenters were as varied as the topics – in one session on Irish literature, we saw several American postgraduate students present their research, sharing the stage with poet and Ph.D. Meg B. Tyler, and well-known thespian and Joyce scholar Michael Shanley. As students from an Irish institution it was interesting to hear such wide-ranging perspectives on topics that hit close to home, particularly since our own backgrounds are so different (Dermot is Irish while Hanna hails from the United States). During the multimedia narratives session, at which our professor Jane Burns presented, several other presenters shared projects relating to the 1916 Rising and the Troubles in Northern Ireland. One of us was given a unique look at Irish history through someone else’s lens, while the other was transported through that lens back to his own experiences during the Troubles. In addition, during this session we had the opportunity to watch Jane present her work on the Mary Martin Diary website for the second time. Jane is a skilled, experienced conference presenter, and seeing how she prepared for the presentation, adapted the talk for a new audience and interacted with her fellow presenters gave us great insight into the world of research and academia. The format of sessions at the conference – multiple presenters talking about topics loosely related through a common theme – provided various perspectives that we would not normally get in a regular university lecture. A prime example of this was the session on surf culture, a theme close to the heart of Bundoran, the self-professed surfing capital of Ireland. Presenters discussed the sensuality of the study of surfing, the role of the surf club within the community, and the representation of women in modern surf media. To the surfing novice, these three topics put forward a new way of looking at the sport and its culture. The conference sessions were held concurrently in the hotel and in a movie theatre just down the road. Having a choice of which sessions to attend and which presenters to see meant we got to direct our learning. But we both felt that having so many options was a double-edged sword. On the one hand, we saw some amazing presentations on topics in which we were interested; on the other hand, we missed out on some we would have liked to attend. While the presentations were certainly the main focus of the conference, other events – such as planned meals and keynote speeches – lent us many opportunities to meet and network with American and Irish scholars. Evenings were a spirited affair, featuring live music and poetry readings. Though many sessions at the conference were sparsely attended during the days, students, professionals and scholars came out in force for the evening fun. For first-time conference attendees, the Transatlantic Connections Conference was a great place for us to start. The conference was small and manageable, with plenty of opportunities to connect and network with other students, presenters and scholars from Ireland and America. It also gave us valuable insight into how a conference, regardless of size, can introduce a wide range of topics and catalyse conversations across many disciplines. As future library professionals, we aspire to do just that – make connections across subject areas, people and places, building bridges to information in any way we can.